A long khaki coat makes a great statement piece for Autumn/Winter. 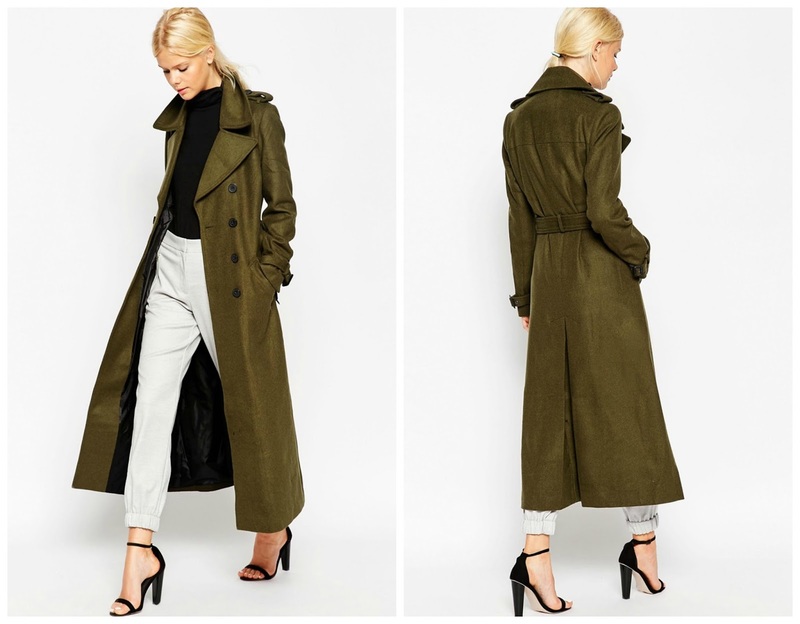 I wear a similar one from ASOS in the warmer months but it's a trench so won't really do for when the weather gets colder; this one in wool makes the perfect alternative, plus the military detail adds a little something extra. I'd wear it buttoned up with a knitted black turtle neck peeking out at the top.